From niche technology, wind energy is now a global success story. The wind industry provides 260,000 quality high-skilled jobs in Europe. On a global scale, that figure is now 1.15 million. Today is Global Wind Day, an opportunity for citizens around the world to learn more about and show their support for wind power. It’s also an opportunity for companies to showcase their technologies and contributions to local economic development and job creation at a more grass roots level. The wind supply chain is benefitting regions across the globe, including economically less-advantaged ones. Citizens are benefitting from shared ownership of wind farms. Wind farms are also contributing to local economic activity through the taxes they pay to local governments – covering up to 25% of municipal revenues. The wind industry has brought jobs and investment to many regions, including ones that have depended on traditional industries. Shipbuilding areas in e.g. northern Spain and northern Poland now produce towers, foundations, cranes and the jack-up vessels that install offshore turbines. Oil and gas-driven economies are benefitting too – New Mexico has invested €2.4bn in wind and the sector supports 4,000 jobs. 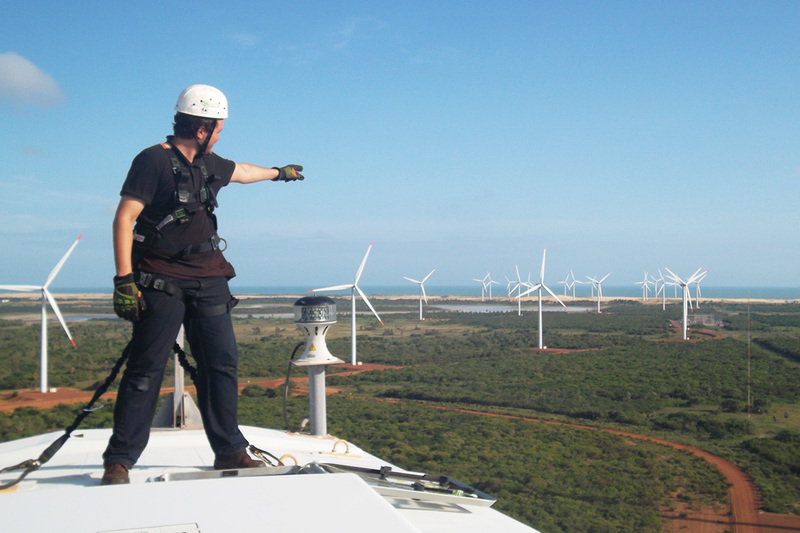 In the US as a whole, wind turbine technician is one of the country’s two fastest growing jobs. In Canada it’s the same story. Alberta is investing €5.4bn of investment in new wind energy projects in the province. These are expected to generate €2.4bn in local spending and 15,000 job years of employment by 2030. Wind energy is providing the world with clean, affordable power. After a record year of wind installations in 2017, Europe has an installed capacity of 169 GW. Wind now provides 12% of Europe’s electricity and 44% in Denmark and 22% in Germany. Globally there is now 539 GW of wind energy installed. Four US states get more than 30% of their electricity from wind, as does Uruguay and the state of South Australia. WindEurope CEO Giles Dickson said: “Onshore wind is now the cheapest form of new power generation in most of Europe, and offshore wind is not far behind with costs having fallen over 60% in three years. It’s now getting easier and cheaper to integrate wind power into the energy system. As a local resource, wind also means much less money spent on fossil fuel imports. And of course it means less CO2 and cleaner air. From a niche technology, wind energy is now an industrial success story. It’s 260,000 high-skilled jobs in Europe. It’s a €36bn contribution to EU GDP and €8bn worth of European exports. And wind is making an impact also on a more local level. Whether it’s providing local jobs and investment in the supply chain or wind farms contributing taxes to local municipalities, wind energy is having a positive impact in communities across Europe”. GWEC Secretary General Steve Sawyer said: “Wind power not only provides clean, emission free power, local industry and employment, and attracts both domestic and international investment, it is an industrial lifeline for rural communities around the globe. This year WindEurope and GWEC launched a global photo competition to capture the power of wind in the run up to Global Wind Day. The winners for all three categories (local impact, boosting economies and visionary wind) will be announced during the course of today. Global Wind Day is a worldwide event that occurs annually on 15 June. It is a day for discovering wind energy, its power and the possibilities it holds to reshape our energy systems, decarbonise our economies and boost jobs and growth. Global Wind Day is a coordinated action between WindEurope and the Global Wind Energy Council (GWEC) and the national associations to introduce the general public to wind energy through a series of activities. In the run-up to 15 June, hundreds of public events will be held all over the world from family outings and wind farm visits to seminars with experts and leading industry figures.